Where Roots And Wings Entwine: Sunrise Pro E-Cigarette Review. My partner Lee is a smoker; he has smoked for many, many years and has tried and struggled on numerous occasions to reduce his smoking and quit. As well as smoking rollies using pouched tobacco he now also regularly uses e-cigarettes which has helped reduce the amount of tobacco he smokes. He aims to eventually only smoke e-cigarettes and then hopefully quit smoking any form of cigarettes altogether. Lee has only tried one brand of e-cigarettes before and even though he gets on well with them he finds that particular e-cigarette quite big and heavy compared to smoking rollies. As he has only tried one brand he was more than happy to try another brand when we were given the opportunity to review an e-cigarette starter set from Paramount Zone. After testing numerous e-cigarettes on the market Paramount Zone decided to stock what they consider to be the best electric cigarette on the market, the Sunrise Pro e-cigarette which according to Paramount Zone performs brilliantly and is great value for money. With great praise from Paramount Zone being bestowed on this e-cigarette Lee was keen to test it out for himself. The cartridges sent for this review were tobacco flavour with medium nicotine strength. The e-cigarette comes in a cigarette style packet; the box is useful for storing the e-cigarette and accessories when not in use. Even though the box is a decent quality both Lee and I agree that it would be better if the box was sturdier, perhaps made from a strong plastic (or a carry pouch provided instead) so that it would definitely withstand being used on a regular basis to store the e-cigarette and accessories when not in use and when going out and about. The Sunrise Pro e-cigarette is simple and easy to use. * Screw the battery into the USB charger. * Plug the USB charge into an USB port. 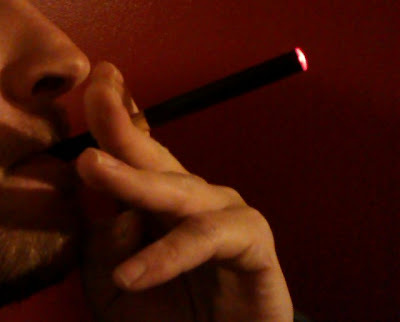 A red light glows on the USB charging device as it charges the e-cigarette battery. * Unscrew the battery once charged and begin using the e-cigarette. The red light is replaced by a green light to indicate that the battery is fully charged. Lee loves that it is simple to use and finds that it just the same as smoking a normal cigarette, you even get ‘smoke’ when you exhale (the smoke is only vapour and is not harmful to those around you). As Lee smokes rollies using tobacco from a pouch and has done for many years he is used to the taste and feel of smoking rollies, as such he finds that smoking a regular cigarette feels and tastes slightly different which he has also found to be the case when smoking e-cigarettes. 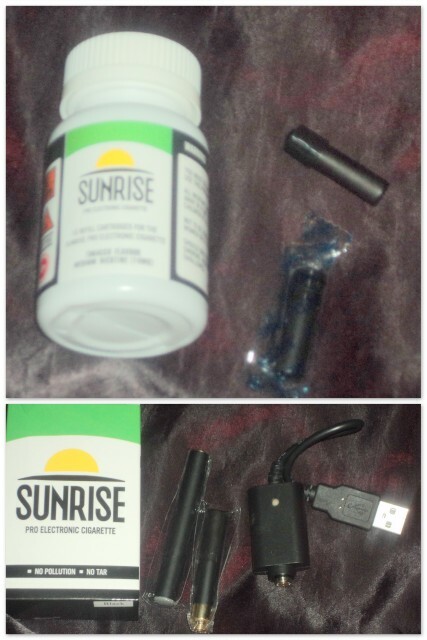 He says that the Sunrise Pro e-cigarette tastes very similar to regular cigarettes but a tad different to smoking rollies, even though it is different it is not a unpleasant smoking experience just not quite the same. Lee says that the Sunrise Pro e-cigarette provides a smooth smoking experience, with (at times) a woody taste and satisfies his nicotine cravings. Lee likes that you charge the battery using a USB charger as he is always near a laptop or computer so it is convenient for him to charge this way. He also likes that it is relatively quick to achieve a full charge and he has found a full charge lasts approximately 1 day of usage which means he does not need to re-charge throughout the day. He likes that the LED flashes when the battery is low providing him with a warning so that he can recharge the battery for further use. Lee likes the colour and design of the cigarette; the e-cigarette is compact, not too heavy and Lee thinks the gloss black e-cigarette is sleek and stylish. He thinks it is nice that it has not been designed to look like a traditional cigarette in regard of the colour, which he thinks helps when he is smoking in public places where smoking is banned as people are less likely to think he is smoking a traditional cigarette. We both agree that it would be useful if there was a card with the e-cigarette which explained that they were safe and legal to smoke in public places for use in circumstances where he is questioned about smoking the e-cigarette where smoking cigarettes is banned. When smoking the e-cigarette the tip glows red, Lee likes that the e-cigarette glows when being smoked and by glowing red it provides a realistic regular cigarette smoking experience which gives him a sense of familiarity. Lee says that the Sunrise Pro e-cigarette satisfies the habit element of smoking, provides the familiarity of holding a cigarette and curbs his cravings for nicotine. The e-cigarette allows Lee to continue smoking in a healthier way and for now he can get his nicotine hit without being exposed to the nasty chemicals (expect nicotine) that he gets exposed to when smoking traditional cigarettes. Even though the instructions suggest that 15 puffs equate how many puffs you would take when smoking a regular cigarette, Lee finds it hard to know when he has smoked a cigarette worth. Even though he has followed the 15 puffs suggestion, taking 15 puffs or less when he uses the e-cigarette he has found that he tends to graze smoke, having little and often, simply satisfying his nicotine craving. Even though the downside is that Lee cannot see how much of the cigarette he has smoked, I think it is a good think that his nicotine craving is satisfied without wasting a cigarette unlike at times when he smokes a regular cigarette there is left over cigarette that was not smoked because once his cravings have been sedated he no longer wants to smoke the cigarette so he does not finish the whole cigarette. Also if he has to stop smoking the cigarette half way through his smoke with the e-cigarette he simply puts the e-cigarette away, compared to smoking a regular cigarette where he would have to die-out the cigarette for use later on or waste some of the cigarette. We both like that the Sunrise Pro e-cigarette does not contain tar, tobacco or harmful chemicals (except nicotine) and no carbon monoxide is produced. I love the fact that the e-cigarette only produces a vapour which eliminates second hand smoke inhalation and Lee does not smell of cigarettes and tobacco which is brilliant. Even though passive smoking is not an issue when using the e-cigarette Lee makes sure he does not use it around little man because he does not want him to get used to seeing him use it especially as little man is always intrigued by everything daddy does and uses. We both like the fact that the refills come in a child proof bottle. Another bonus is that he is not polluting the air and there are no unsightly cigarette butts. For now these are a great alternative for Lee to curb his nicotine cravings in a healthier way. As well as the black e-cigarette Lee received to test the Sunrise Pro e-cigarette is also available in Platinum which Lee think looks very smart and more interesting to the eye than the black e-cigarette. The Sunrise Pro e-cigarette has an RRP of £39.99 but currently costs £24.99 on the Paramount Zone website. Cartridge refills are available at £7.99 for 10 refills which is the equivalent to approximately 200 cigarettes. Also available are different flavours and nicotine strengths. The e-cigarettes are in my opinion good value for money and are a healthier, cheaper alternative to regular cigarettes as in the long run they will save you money and you have the bonus of them being healthier. More information about Paramount Zone. As well as selling this e-cigarette Paramount Zone also sell a vast range of great products with lots of ideas for gifts for Christmas including Christmas present ideas for men, for women and for kids. My boyfriend smokes and i have told him several times to quit this habit but he says the craving doesn't let him do that, i will share this post with him, lets see if he makes up his mind to move to electronic cigarettes. With so many brands available it becomes really difficult to decide which one will work for you, these devices come with various flavors and nicotine level, better tell your requirements to the seller before purchasing. This brand must of great quality, i have seen many reviews of it on websites, it is necessary to select a good product so that you don't face any problems later on. 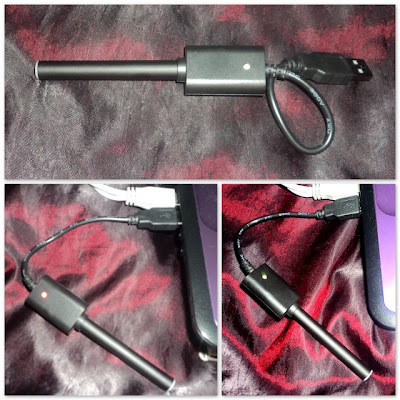 This is really an amazing device for ones who want to quit smoking. 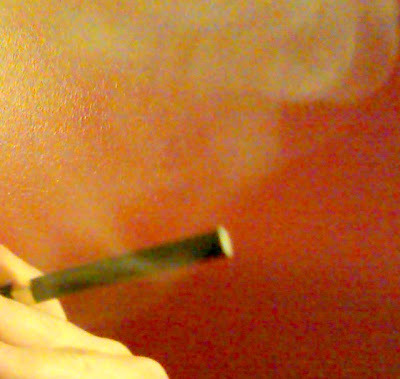 E cigarettes are the best alternate of tobacco cigarettes. In last few years these cigarettes have become very popular. E cigarettes are available in so many flavors and nicotine level of these cigarettes can also be adjusted. Electronic cigarettes are really a good device for those persons who wants to quit smoking. The main reason is that it does not contain any harmful chemical and not produce smoke that's why people love to use best4ecigs-electronic cigarette starter kit UK and also it is available in different flavor so that you can enjoy it whenever you are getting bored with one flavor and smoke whenever you want. deer hunter 2014 hack android has a substantial purpose throughout United states Traditions. Many people is often seen taking part in activities regarding deer hunter 2014 hack ios. It is to a certain extent mainly because people on most a long time can be concerned and people are usually delivered with each other by that. Commonly someone whom displays their particular don't like intended for deer hunter 2014 hack tool may be thought to be a good outcast. Thanks for sharing your thoughts on health benefits of curcumin.